Any multitool can be invaluable if you find yourself in an emergency situation. 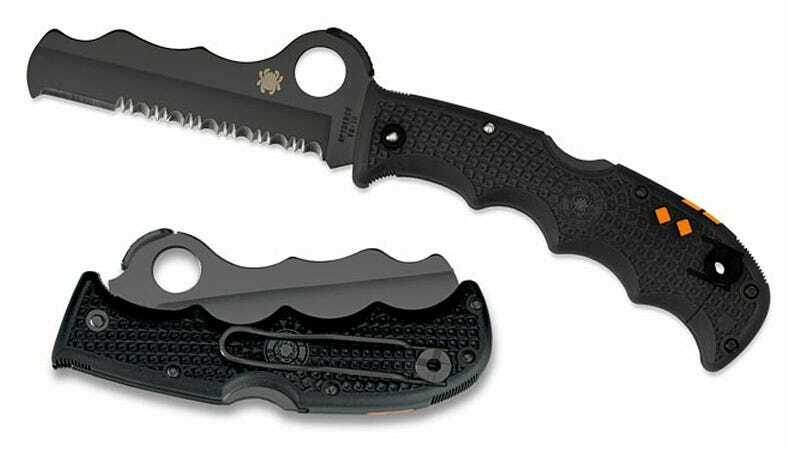 But Spyderco's Assist series of knives are specifically designed for use by firemen and rescue personnel to safely cut away debris or restraints without further injuring a victim. The most notable feature is the knife's blunt-tip stainless steel blade which ensures that no one's going to accidentally get stabbed, particularly when the Spyderco is used in tight quarters. And the mostly serrated blade can be easily opened in one hand, without even looking, thanks to a special capped thumb hole that also provides leverage when cutting. You might have also noticed the wavy pattern along one of the knife's edges. Not only does it make it easier to grip, but it also makes it easy to slice rope like a guillotine without having to open the blade all the way.